Vice President Mike Pence lambasted Democratic initiatives of Medicare for All and the Green New Deal and sought to frame the 2020 presidential campaign as a referendum on socialism. “Under the guise of Medicare for All and a Green New Deal, Democrats are embracing the same tired economic theories that have impoverished nations and stifled the liberties of millions over the past century. That system is socialism,” Pence declared, per his prepared remarks shared with The Daily Caller. Pence singled out Vermont Sen. Bernie Sanders’ candidacy, saying, “remarkably, a leading candidate for the Democratic presidential nomination is an avowed socialist. Pence’s refrain comes days after he returned from a trip to South America, where the U.S. is trying to facilitate a transition of government in Venezuela. 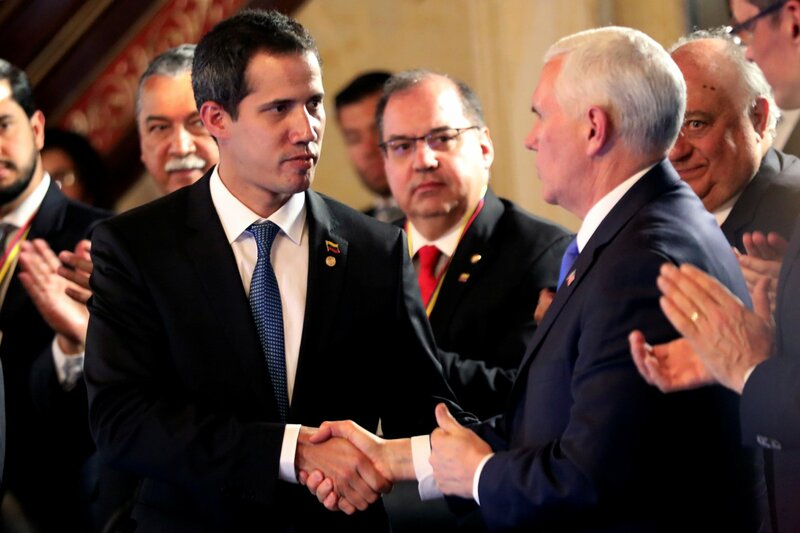 The U.S. is standing against Venezuelan dictator Nicholas Maduro and officially recognized National Assembly leader Juan Guaido as the legitimate leader of the country.